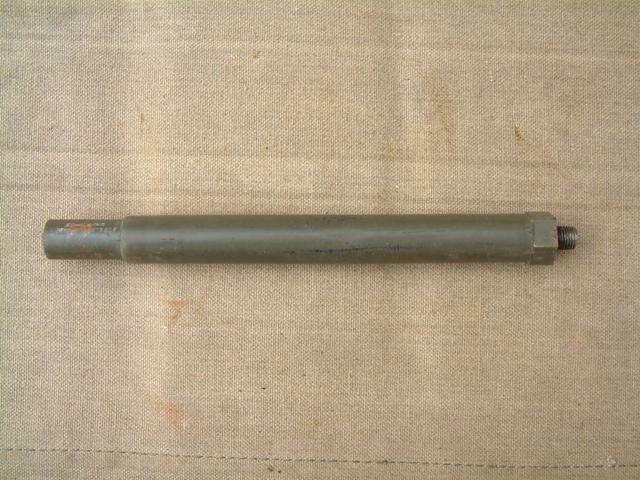 The AB-129 is a semi-rigid antenna base for use with PRC-8, PRC-9 and PRC-10 and other portable radios. The antenna base is used with the AT-271A long antenna rod and can be slightly bent to any position, acting as a shock absorber for the long antenna. Overall length 19.4 Cm.